I’ve used every to do list out there. Every complex, GTD, you name it I’ve used it. I’ve used it on every platform from windows, mac , iPad, iPhone. There are couple things that make this one of the best. It’s not perfect, but I’d rather have a good list that is visually intuitive, consistent across all platforms, simplifies complex situations, but still allows for the complexity. More importantly they are very fairly priced, for the incredible amount of features that other to do organization lists attempt and charge more for. Whether it is the desktop, the iPhone or the iPad, their interface is excellent and consistent. It’s very easy To maintain a to do list when one is calm or has few projects. But when I am stressed, and have a lot to put in the lists quickly, ToDoIst make it easy, intuitive, consistent so that I actually want to use the application. In simple terms, this is the first application that as my lists and projects and tasks add up, I don’t feel visually overwhelmed and don’t dread opening the application to see what’s awaiting me.. I have not found a better overall package out there. Once you really dig into what you can do with Todoist, it’s much more powerful than its simplistic interface reveals at first. I chose Todoist because of its multi platform and web sync, but after trying countless other options including Things, OmniFocus, 2Do and some Evernote extensions, I kept coming back to ToDoist. Once I really embraced the strengths, like rescheduling options, forwarding emails, and using priorities, I was able to piece together a very effective system. It’s not often I find an app that sticks around. It’s easy to procrastinate and spend valuable time looking for the perfect task management system, but I’ve found that what I really was looking for was both a system and a tool. I wanted a GTD app conceptually, but my roots are based on Franklin Covey. I was able to achieve an awesome hybrid approach of what works for me using the functionality of Todoist. What I like is I can easily have sub Projects and sub items of sub tasks. In other words, nesting folders. I can drag an item up and down in my list, or left and right to nest an item under another. For example, I can have a shopping list project, but then have sub projects for different stores, with a sub list for each, for groceries and electronics. Also, I have 100+ items on my to do list but having four levels of priorities helps me focus on what is important and urgent. I researched and downloaded several to-do apps, and this is the clear winner for me. 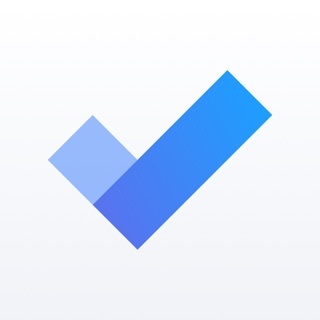 If I was to design my own to-do list app it would be Todoist. I love the clean UI. I use it on my iPhone, iPad, MacBook and Windows machine. I only explored to-do apps recently because I used and loved Wunderlist for years (RIP). Had I known the functionality of Todoist, I would have used this instead, years ago!